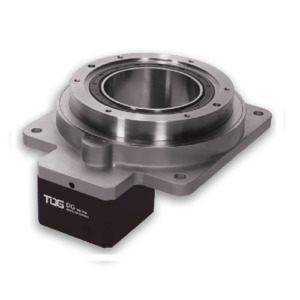 The TQG PER series is an economy high precision right angle planetary reducer. 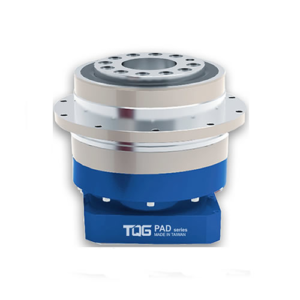 The optimized design of TQG PER planetary gearehead features of higher accuracy, more compact and lighter weight, with various installation methods of motor. 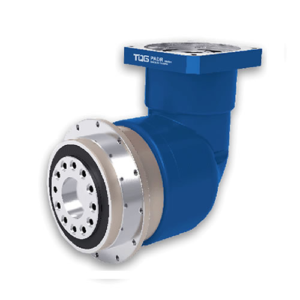 Carbon steel and aluminum construction of the main body meet the industrial standard. 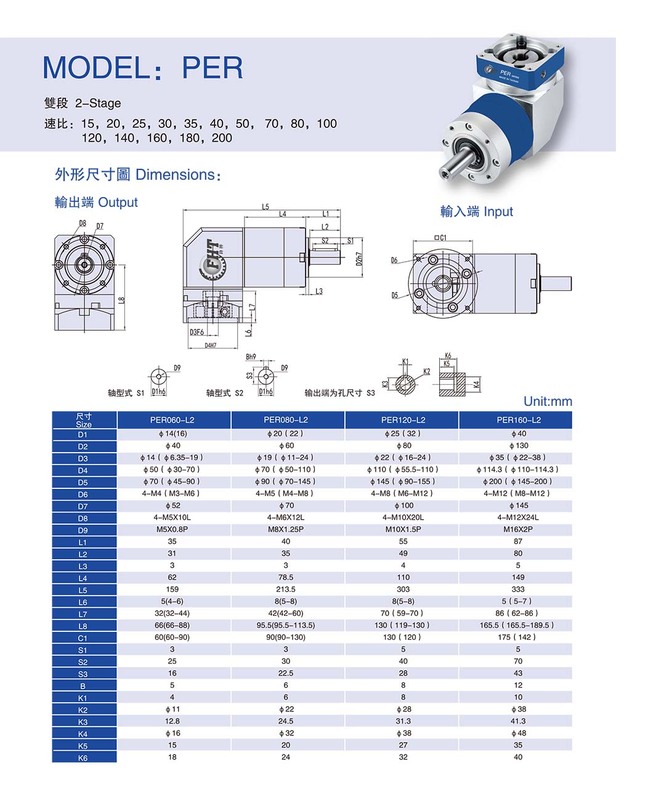 High precision connected housing enable PER planetary gearbox with good stability and solidity. 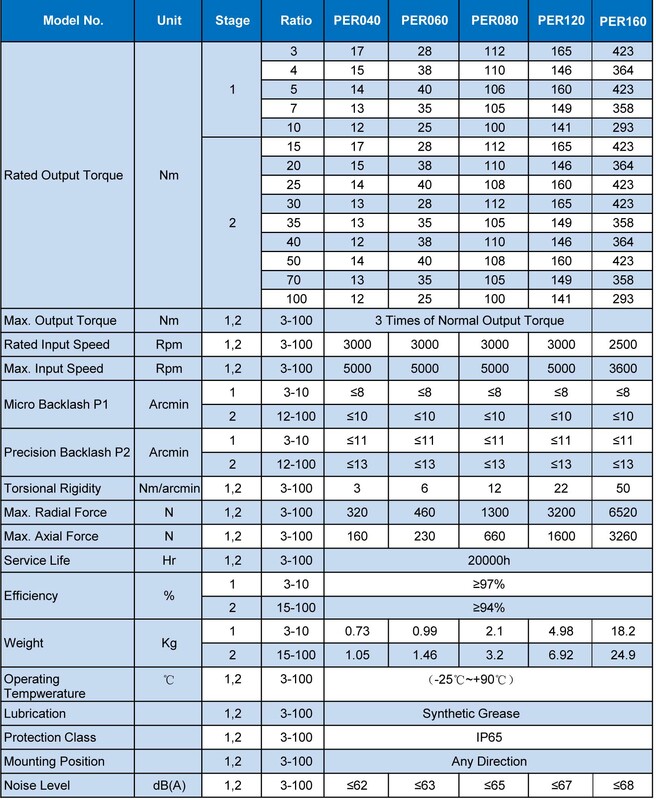 And the laser welded pinion makes the two parts have the highest concentricity. 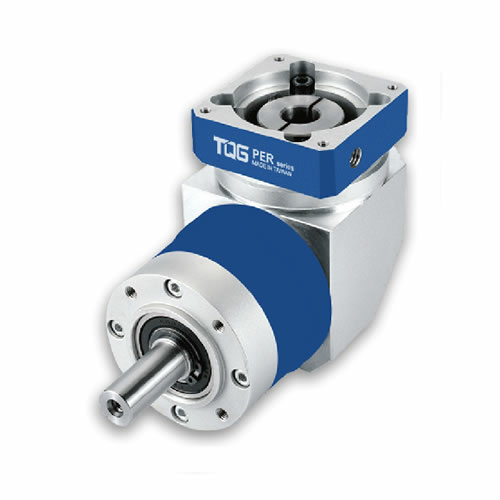 Smooth, quiet operation and accuracy of PER gearbox thanks to its low-profile planetary gears and precision spiral bevel right angle gears. 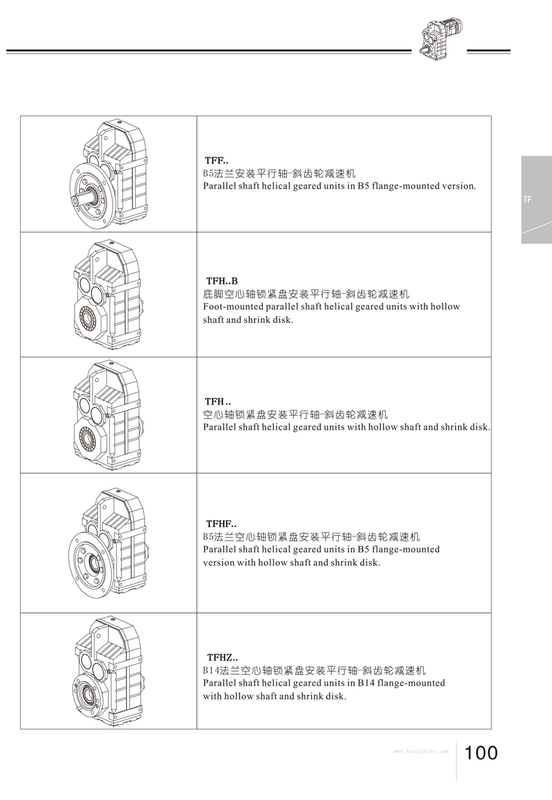 If you don’t need right angle gearbox, TQG another type of inline gearbox PLE series is your good choice for limited budget. 1. 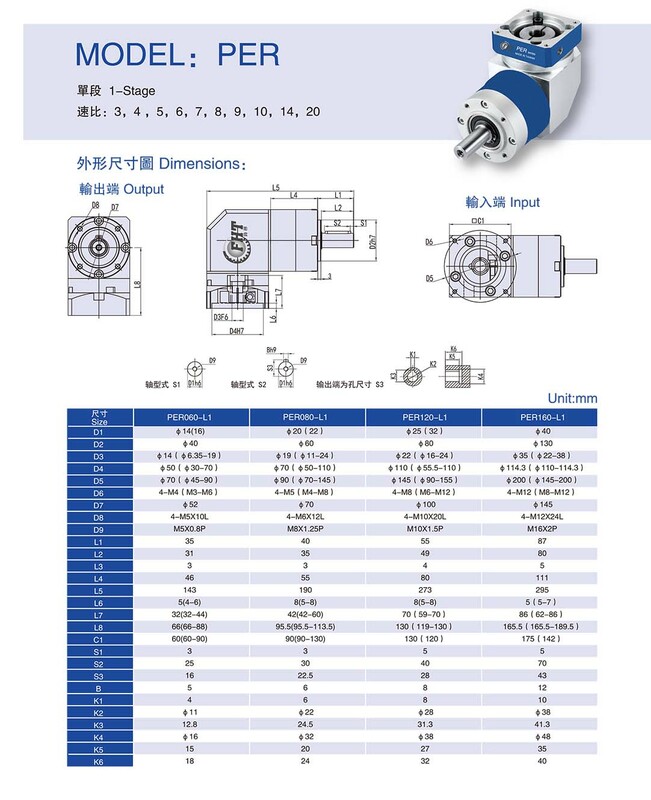 Using of spiral bevel gear , PER series speed reducer can be mounted with the motor at 90 degree away from the gearbox if space-saving is needed. 2. High positioning precision: with precision grinding gear, the surface of tooth is smooth and the tooth profile is precise. 3.Low energy consumption and superior performance. 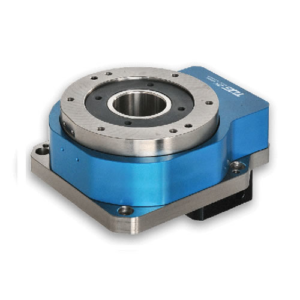 4.The precision planetary gearbox is fully enclosed with high performance grease makes it maintenance free for life. 5. Small vibration, low noise and high energy saving. 6. 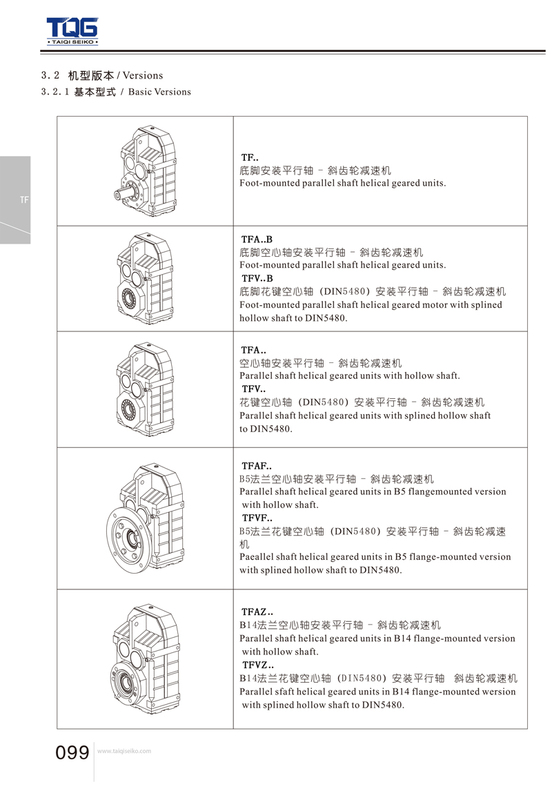 This series of products have a lot of motor combination, installation position and structure scheme, can be selected according to the actual needs.